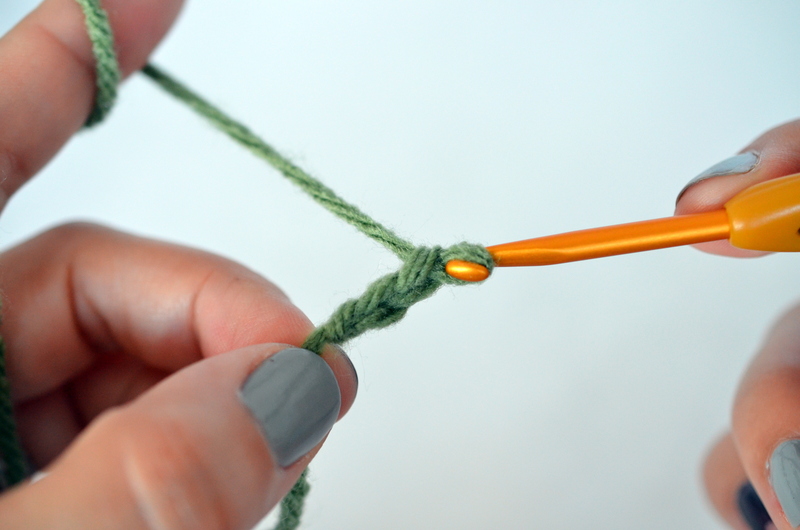 Like Maria says in The Sound of Music, “Let’s start at the very beginning, a very good place to start, when you read you begin with ABC.” When you crochet you begin with a slip knot and chain. 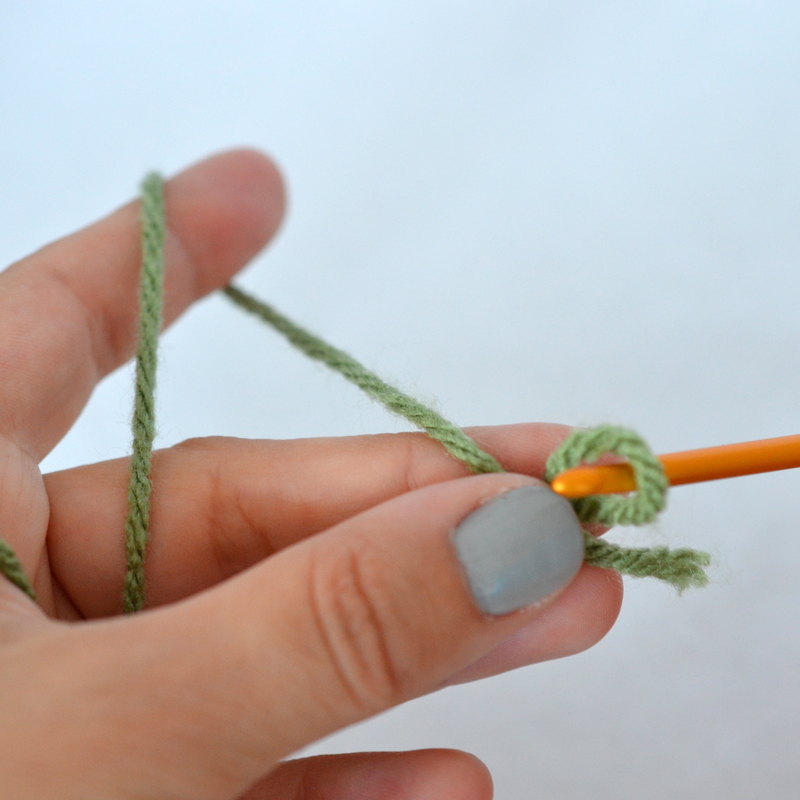 So, to continue with Crochet Basics (did you check out the previous post on What is crochet?) 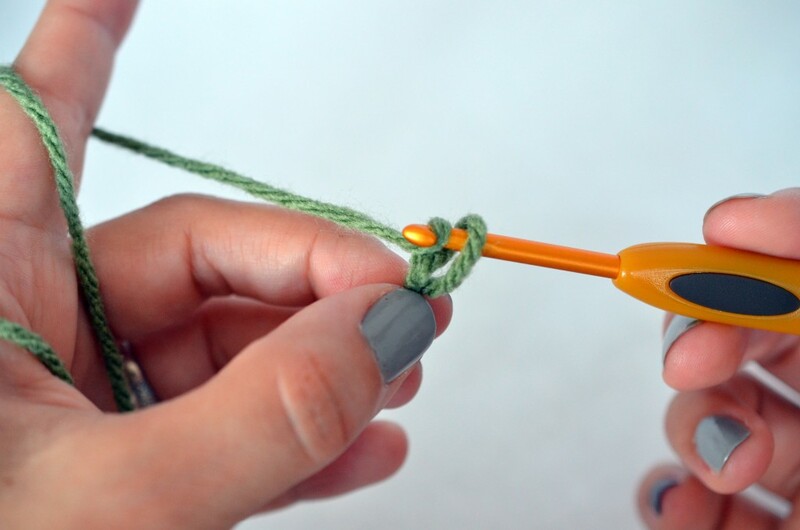 I’ll be showing you how to make a slip knot and chain. 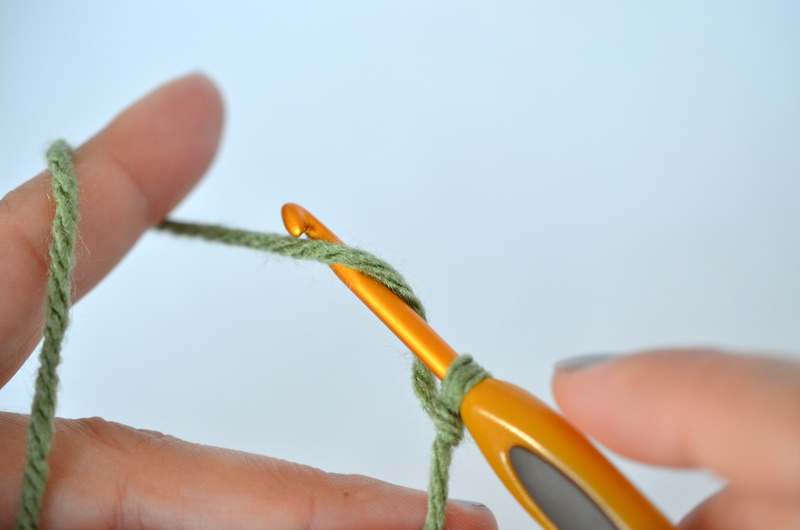 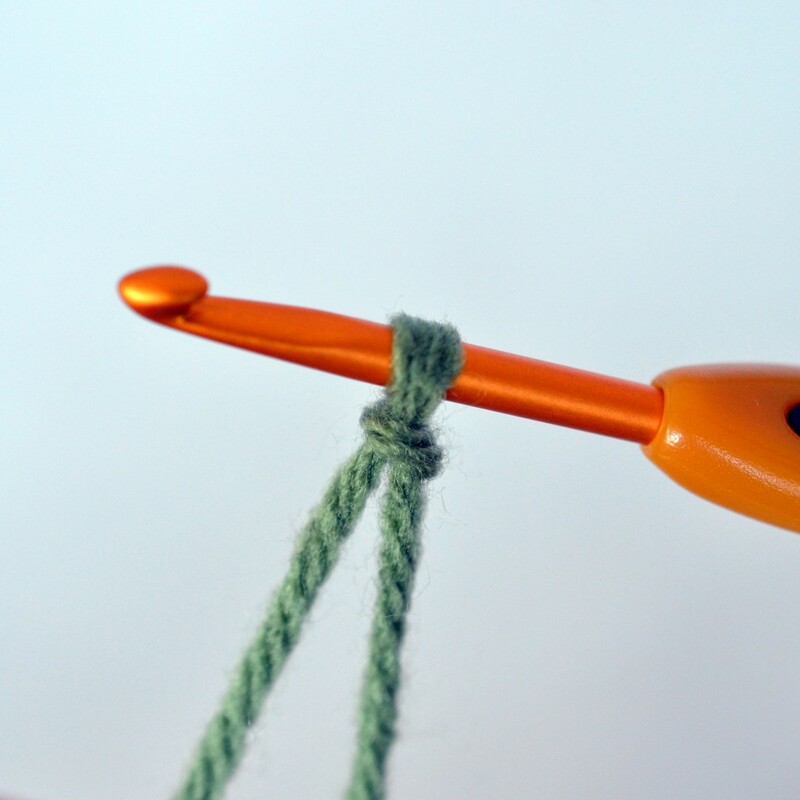 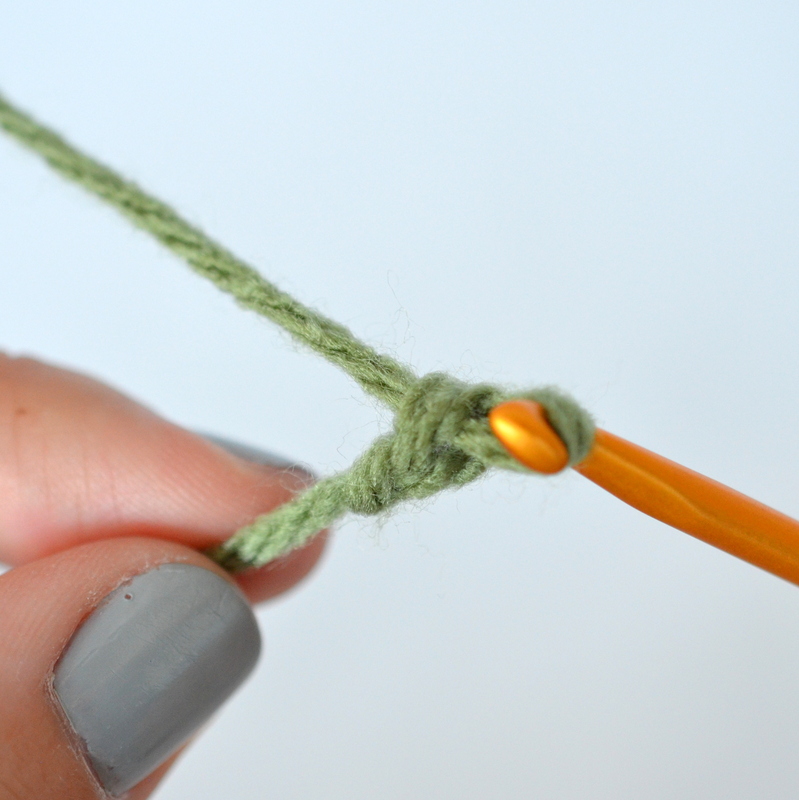 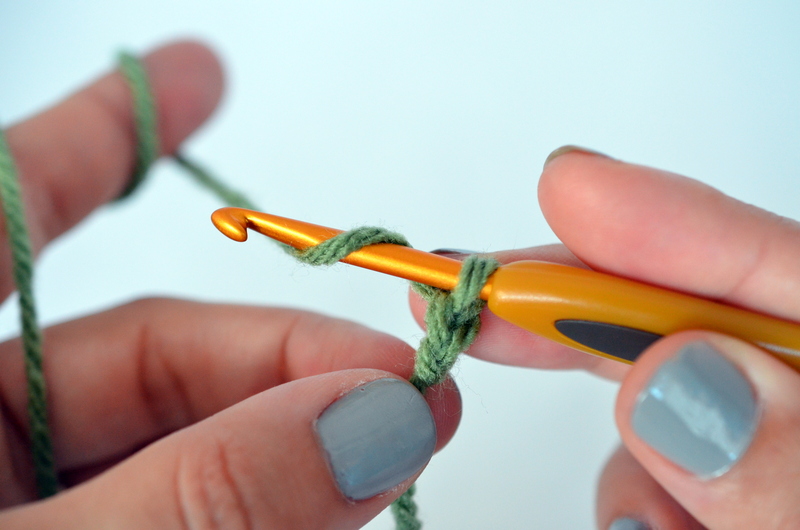 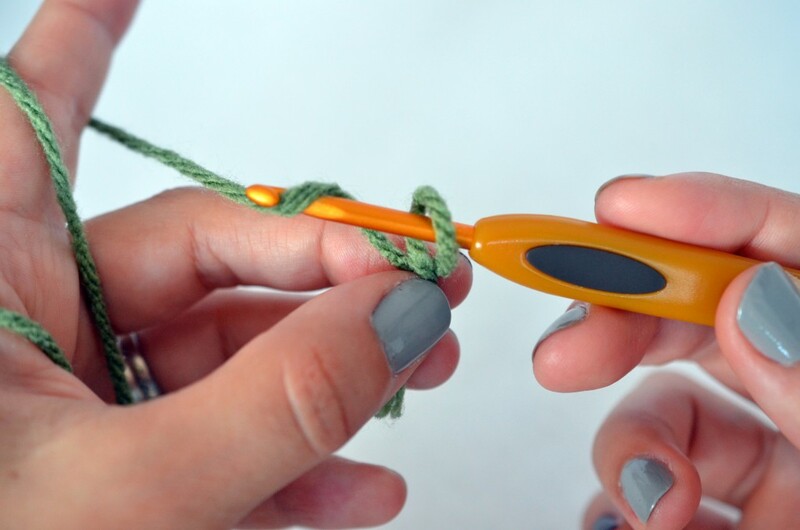 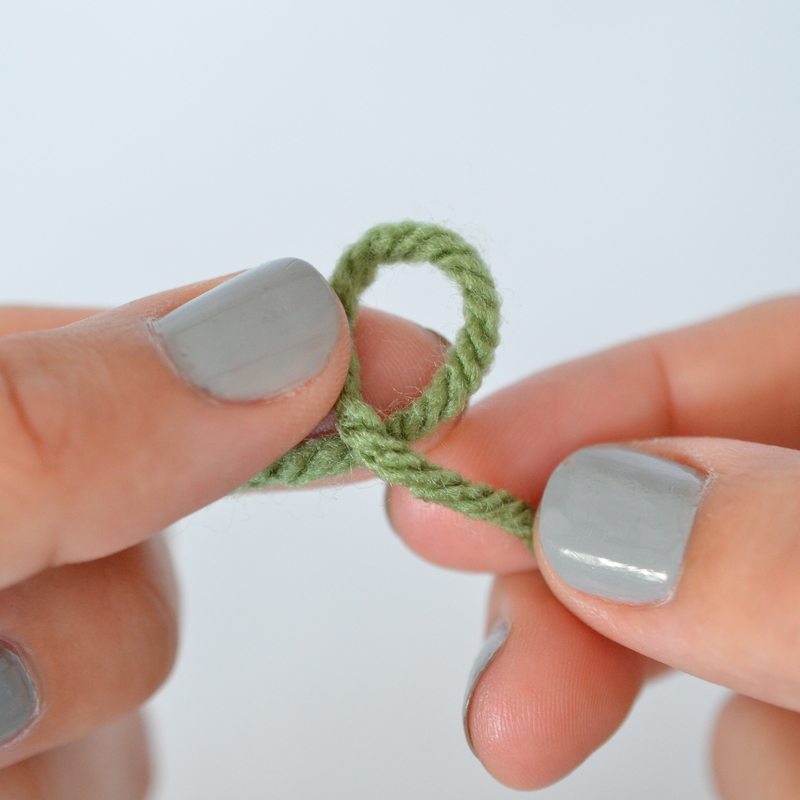 First, make a slip knot by forming a loop with your yarn. 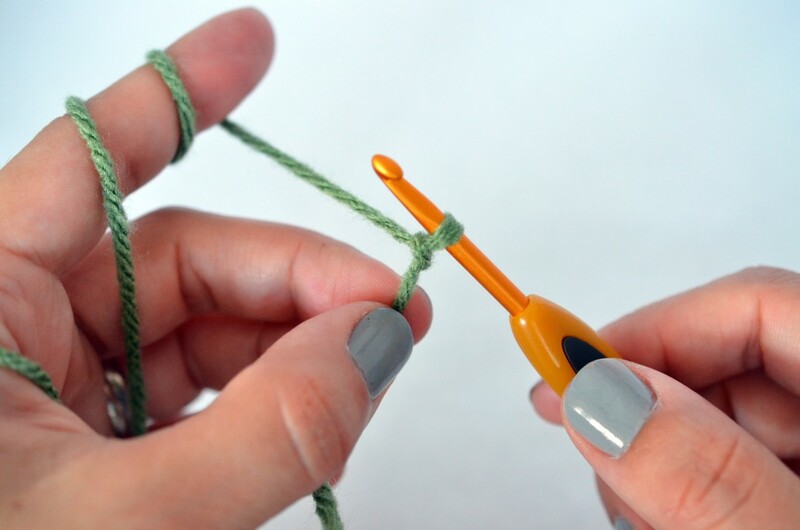 Wrap the working yarn around your hand or finger (play around and see what feels comfortable) hold the loop between thumb and finger, insert the crochet hook in the loop from back to front, wrap yarn around the hook and pull it through the loop. 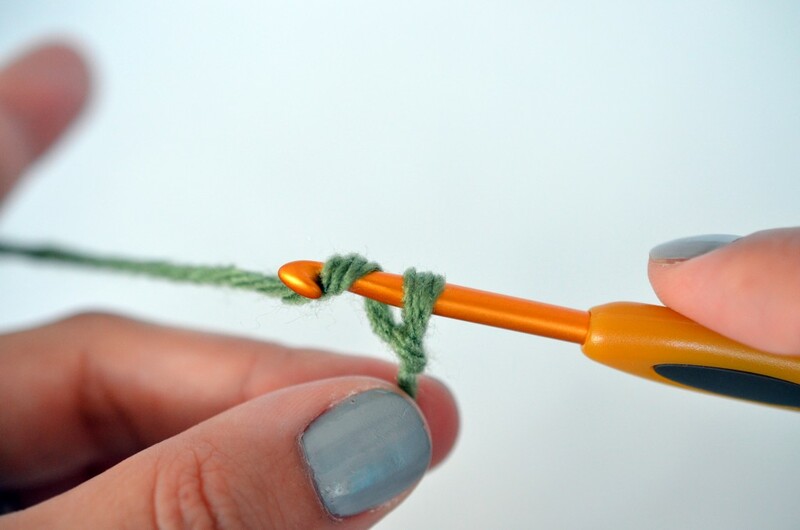 To make the first chain, wrap yarn around hook and pull through the loop. And remember, the slip knot never counts as a chain! 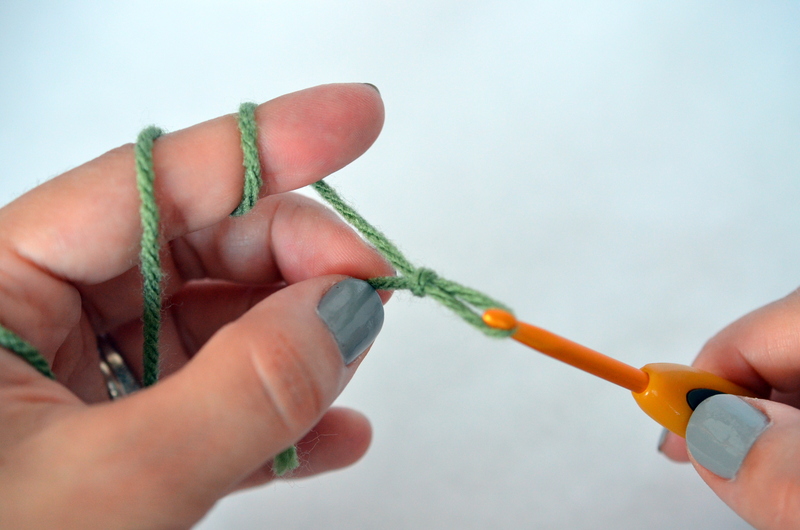 There’s your first chain! 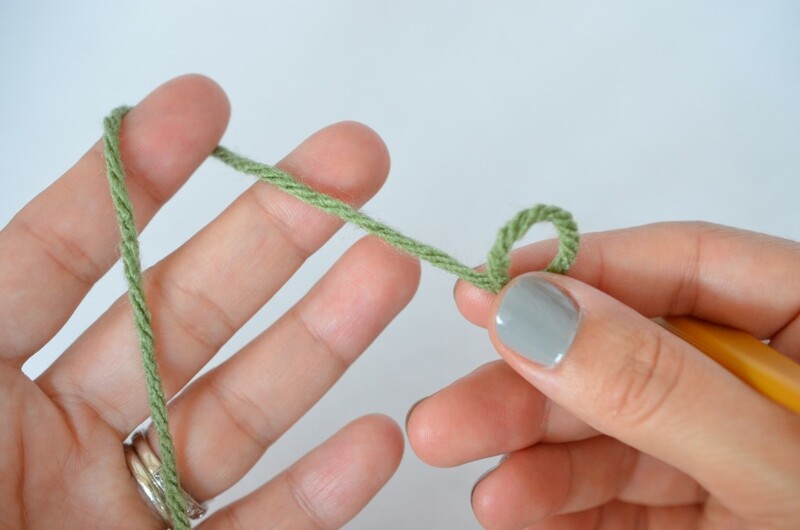 Now repeat and practice by making as many chains as you want. 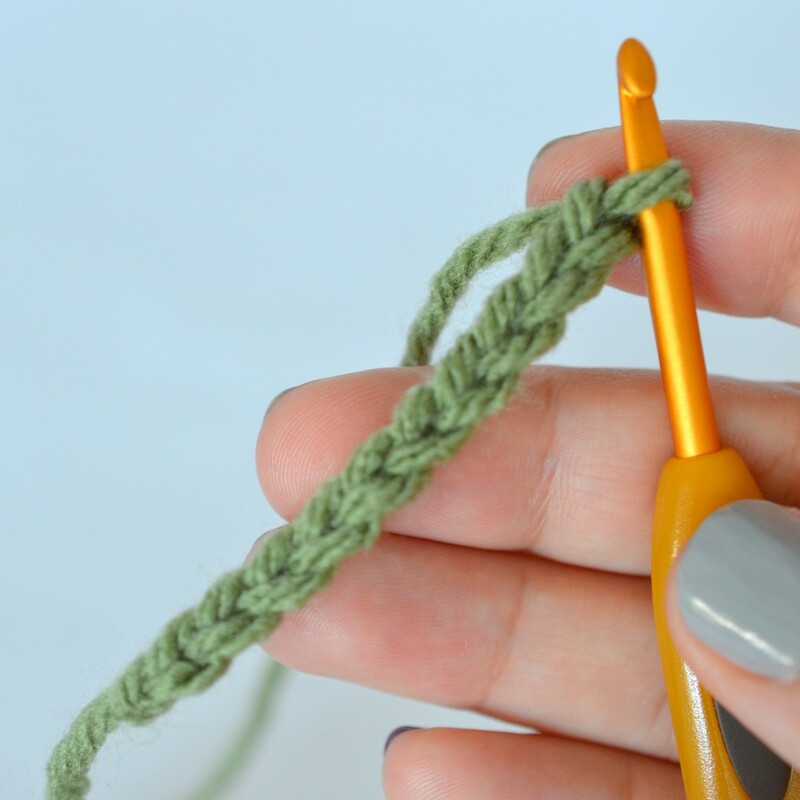 In the next post I will show you how to make the single crochet stitch.